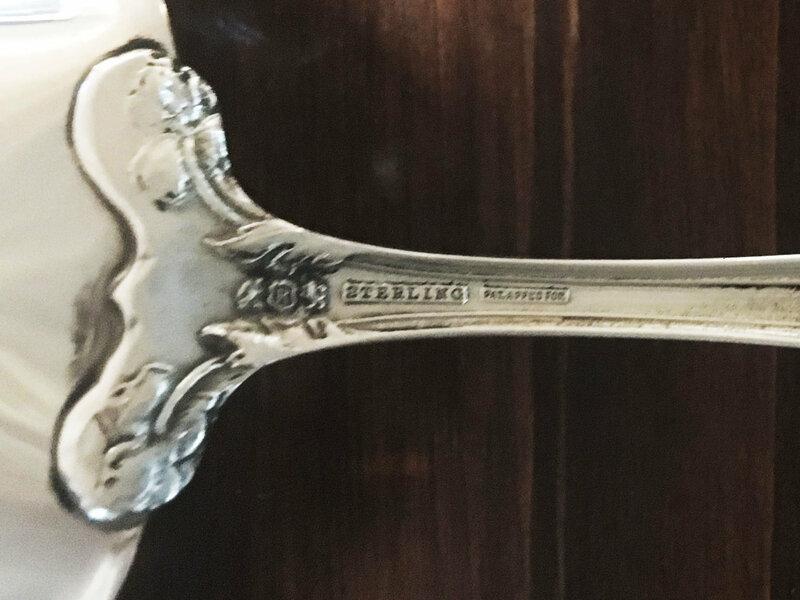 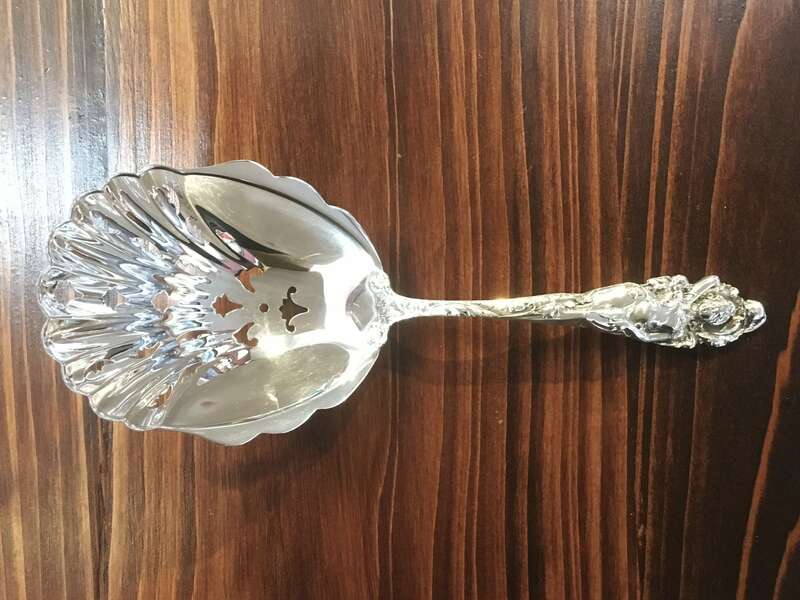 Serve in style with this sterling silver cracker scoop designed by Reed & Barton in 1899. 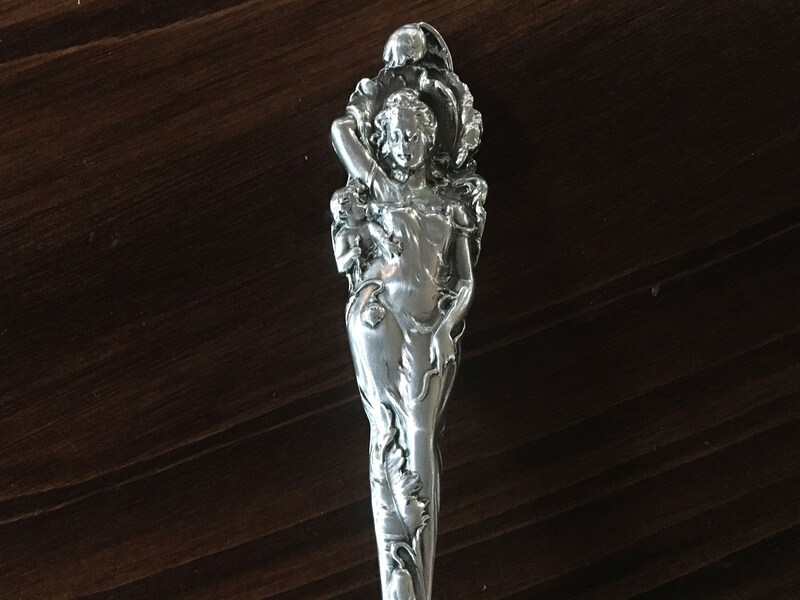 This highly sought after pattern, Love Disarmed, features a stunning handle depicting Venus and Cupid encircled with elaborate swirling plumes. 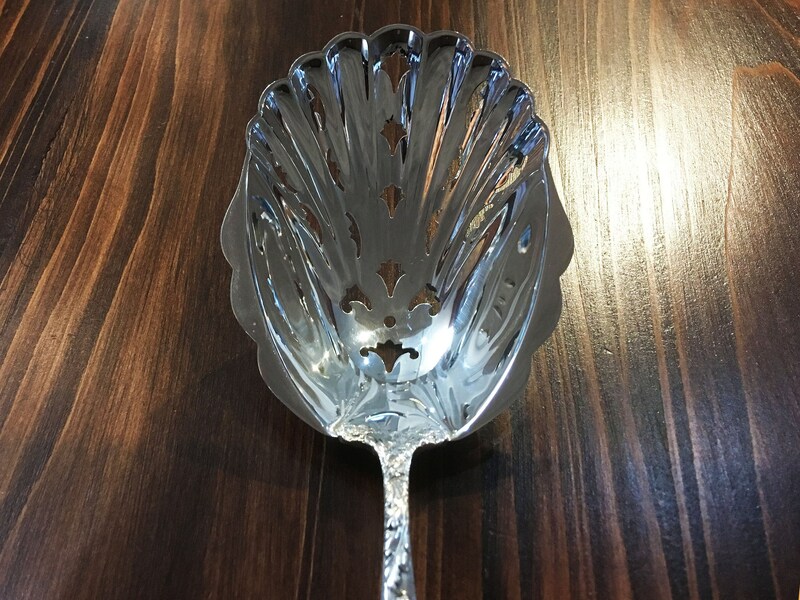 A world renown Art Nouveau design, this piece makes the perfect showstopping addition to any collection.